AUL 1 Decider: Carrigtwohill v Springfield in Ballyadam, Tuesday coming, May 31 at 7.15pm. AOH Cup Final: Kinsale v Wilton Utd A in Turner’s Cross on Sunday, June 12 at 7.45pm. 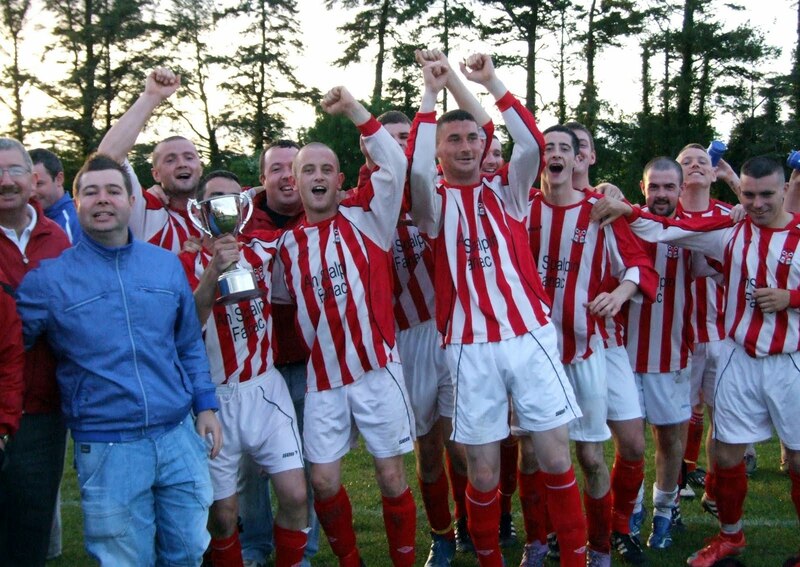 County Cup Final: Hibernians A v Leeside B in Turner’s Cross on Friday, June 3 at 7.30pm. 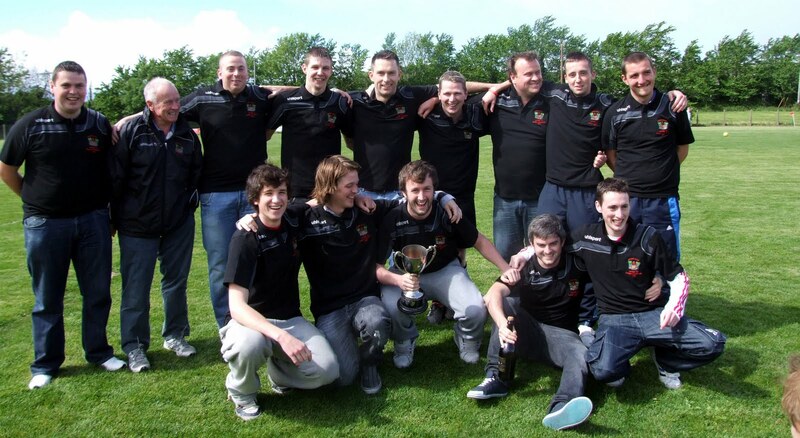 Corinthian's Cup Final: Kilreen Celtic v Park United B in Turner's Cross on Friday, June 17 at 7.30pm. FREE tickets going for the Ireland v Scotland game next Sunday!!!!! Will be held at Turner's Cross on Friday, 3rd June at 7.30pm. 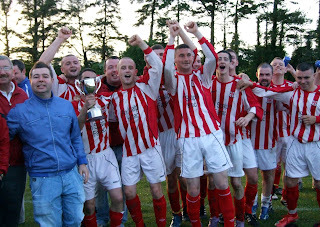 The re-arranged date for the AOH Cup Final is Sunday, 12th June in Turner's Cross at 7pm. in Murphy's Rock at 8pm sharp. Part of the agenda will be to discuss the appointment of a new Manager for next season. All existing and new members are welcome. OR Declan Barry @ 087-2788386.
on Friday coming 27th May has been cancelled until further notice. Greenmount Rangers are looking for a new first team manager for the season 2011 - 2012. If interested, please email greenmountrangers@gmail.com with your details. Closing date for applicants - Friday June 10th. Castleview propose running a 7-a-side tournament n June on the club's all-weather. Interested? Then contact Niall Curtin (Facebook: http://www.facebook.com/profile.php?id=100001207366183). Players must be over 16. That aside - the club held their AGM last night where the following officers were elected. Hibs are holding a race night in the Ferry Boat Inn on Friday 27 May 8pm. All support welcome! Castleview are having a race night in the Glen Ryan Bar next Friday at 8.30pm. Please come and support the boys in red. County Cup Semi Final Second Leg: Leeside B 2 Ballincollig 1 (Leeside won 3-1 on aggregate); Glanworth Utd 2 Hibernians 2 (Hibs won 5-3 on aggregate). Premier League: Leeside 1 Kinsale 2; Macroom 1 Park Utd 0. Premier A League: Killumney Utd 3 Village Utd 1. AUL 1: Park Utd 1 Glen Celtic 1; Fairview 1 Carrigtwohill Utd 1; Springfield 4 Buttevant 2. AUL 3: Innishvilla 2 Greenwood 4; Parkview Celtic 1 UCC 1. 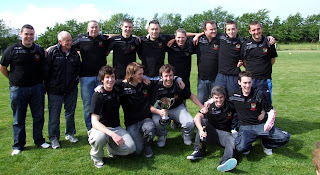 The Leeside C team with their league 3 trophy - presented to them by Ted O'Mahony (Chairman of the Cork AUL) on Saturday. AUL 3A: Bweeng v Grattan United B at 3pm in the Bweeng Sports Centre next Saturday, May 21, D O’Mahony. Kilreen Players celebrate after winning the 1A title following their 3-2 win over UCC on Thursday night. Douglas Hall are now runners-up. Results for Thursday 12th May. AUL 1: Fairview 4 Leeside B 1; Park Utd 0 Springfield 2; Postal Celtic 2 Buttevant 6. AUL 1A: UCC A 2 Kilreen Celtic 3. AUL 2: Inter City Celtic 3 Hibernians 4. AUL 2B: Springfield 4 Glanworth Utd 2. AUL 3A: Grattan Utd 4 Knocknaheeny Celtic 4. Dunbar Celtic v Wilton Utd, Murphys Farm, T.Thompson. WIN A FREE LUNCH + WINE!!! EASY TO ENTER COMPETITION. Star Anise was very busy for Dine in Cork last week and this is another busy period as all the menus are being changed and a new Pre-Theatre Menu is being introduced. The early bird Pre-Theatre menu offers 2 courses for €23.95 and 3 courses for €28.95. Star Anise is open Tuesday to Saturday evenings between 6.00pm and 10.00pm and for lunch on Thursday and Friday between noon and 2.30pm. Now you have the chance to win lunch for two (with a glass of wine each) at Star Anise. Just go to the restaurant’s Facebook Page and press the Like button. Star Anise will draw the winner at noon on Tuesday week (May 17th) . Premier League: Wilton Utd v Coachford (off). Premier A League: Glenthorn Celtic 1 Killumney Utd 5. AUL 3: Glen Celtic v UCC B (off). AUL 3A: Lakewood Ath 1 Ballincollig 3; Newmarket 4 Strand Utd 2. After tonight's games, Ballincollig have been officially promoted after finishing runner's up to Ballinhassig. Congratulations to Cobh Ramblers U16s for their Barry Cup semi-final victory over St. Francis from Dublin. After a 1-1 draw over extra time, the Ramblers reached the final following a 6-5 penalty shoot-out win on Sunday. They will now meet Belevedere in the final in Dublin. The May issue of Back of the Net is on sale now. Packed with all the latest news and interviews it's a must read for all fans of local football in Cork. This month there are two free places to be won on the An Post FAI Soccer Schools in addition to free tickets for four people to the upcoming Carling Nation's Cup internationals between the Republic of Ireland v Northern Ireland and the Republic of Ireland v Scotland with overnight accommodation in the 4* Louis Fitzgerald Hotel in Dublin. This month's issue is not to be missed and is available at your local Easons store and many other stores around the city and county priced at just €2. Daly Industrial Supplies-Stihl U17 League 1A second-place play-off: Macroom 1 Strand United 3. Daly Industrial Supplies-Stihl U17 League 1A: Riverstown scr. Bandon w/o. Daly Industrial Supplies-Stihl Youths Premier League: Avondale United w/o Kilreen scr., Castleview 4 Carrigaline United A 3, Cork City w/o College Corinthians scr. Daly Industrial Supplies-Stihl Youths League 1A: Everton 6 Kinsale 4. Daly Industrial Supplies-Stihl U17 Premier League: Wilton United 0 Cork City 1, Riverstown 3 Temple United 3. Daly Industrial Supplies-Stihl U17 League 1: College Corinthians 7 Cobh Wanderers 2. County Cup Semi Final First Legs: Ballincollig 1 Leeside B 1; Hibernians A 3 Glanworth Utd 1. Premier League: Park Utd 3 Wilton Utd 3; Macroom 0 Kinsale 2. AUL 1: Knockraha 1 Buttevant 2; Glen Celtic 3 Fairview 3; Springfield 4 Dillons Cross 2; Park Utd v Shandon Celtic (off). AUL 3: UCC v Greenwood 3pm. AUL 3A: Lakewood Ath v Buttevant (off); Knocknaheeny Celtic 0 Kanturk 4. Hibernians player Shane Healy with his man of the match award after the game. Hibs take a 3-1 lead with them into the second leg away to Glanworth next Saturday. Premier League: Park Utd 3 Wilton Utd 3. 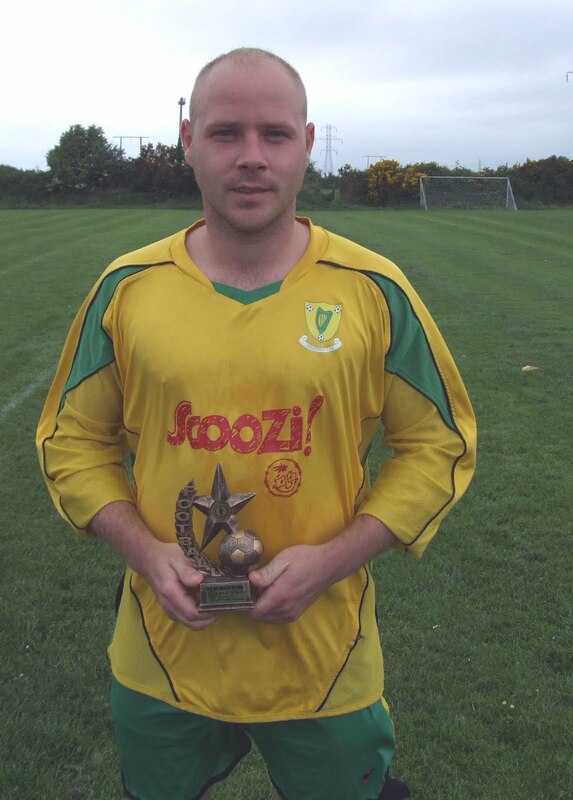 Best wishes and a speedy recovery to Ballyvolane’s Colm McManamon who got a serious leg injury in last week’s action. We all hope to see Colm back to good health as soon as possible. Marco Tardelli launches ‘The Irish Sun FAI Fives’ in Aviva Stadium. Republic of Ireland Assistant Manager, Marco Tardelli, launched The Irish Sun FAI Fives leagues in Aviva Stadium. The new three year partnership will see ten week leagues operate four times per annum in up to 32 centres nationwide. In Cork, the Fives competition will be held at Supernova Soccer, Sports Village, and Glen Resource Soccer Centre. The programme will target the vast number of recreational players throughout the country and encourages participation at all levels. Each game will be monitored by official referees. Teams will comprise of eight players each with entry costing €450 per team for the 10 week programme. This equates to €5.63 per player per match. The inaugural tournament starting from May 13th will see teams compete for the opportunity to play in Aviva stadium this August. The national semi-finalists and finalists will use the Aviva Stadium dressing rooms, walk the tunnel, and play on the world-famous pitch with the winners being immortalised for their achievement with their own Aviva Stadium Walk stone. Each of the eight winning team members of the inaugural national league will also be awarded FAI season tickets for the 2011/2012 season in Aviva Stadium. The biggest match of the night ended in a stalemate when Kilreen drew 0-0 away to Douglas Hall in 1A. Here is the situation now. With Douglas Hall finished their league program now, If Kilreen beat UCCA away in the Farm in their last league game of the season next Thursday night, they will clinch the title. If they draw, it will be a play-off between Kilreen and Douglas Hall for the title. If Kilreen lose of course, then the ‘Hall will take the title. Premier League: Kinsale 2 Knockavilla Celtic 0. AUL 1: Carrigtwohill Utd 2 Park Utd 1; Buttevant 3 Shandon Celtic 2; Fairview 3 St John Boscos 1. AUL 1A: UCC 6 Passage 0; Rathcoole Rovers v Grangevale (off); Douglas Hall 0 Kilreen Celtic 0. AUL2: Innishvilla 0 Ard Na Laoi 3. AUL 2B: Brooklodge Utd 2 Glanworth Utd 0. Leeside v Dillons Cross, Little Island, T.Thompson. Here’s a brief preview after tonight’s most important results. Premier: Ballyvolane’s 2-0 defeat at the hands of Macroom means they will accompany Grattan United as the second team to be relegated into the Premier A for next season. Wilton cemented their position in second spot with an emphatic 7-0 win over Grattan tonight. Premier A: Killumney cruised through their game tonight and are now just two points away from clinching the Premier A title. They’ll achieve that next Saturday if they win away to Blackstone Rovers. AUL 1: Springfield leapfrogged Glen Celtic to fifth spot after a 2-0 home win over Knockraha. Can they keep it up with nine games to go? It certainly would be a marvellous achievement now if they can go all the way. All tonight's Results - Brief Review to follow shortly. 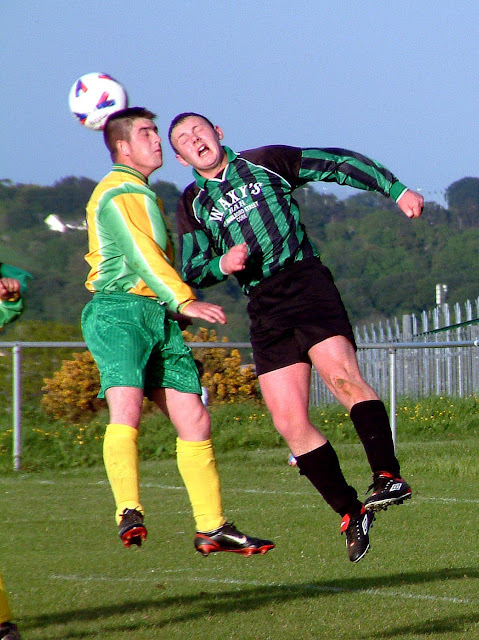 Premier League: Ballyvolane 0 Macroom 2; Wilton Utd 7 Grattan Utd 0. Premier A League: Pearse Celtic 0 Killumney Utd 7. AUL 1: Springfield 2 Knockraha 0. AUL 3: Carrigtwohill Utd 0 St John Boscos 0; Greenwood 3 Glen Celtic 3; Innishvilla 2 UCC 1. AUL 3A: Newmarket 4 Buttevant 1; Knocknaheeny Celtic 3 Hillington 3; Strand Utd 1 Lakewood Ath 2; Ballincollig 4 Los Zarcos 2. Kinsale won 3-2 on aggregate and will play Wilton in the final on the 27th May. Murphy Cup semi-finals: Ringmahon Rangers 2 College Corithians 5, Carrigaline Utd 5 Kilreen Celtic 0. Teddy Healy Cup semi-finals: Rockmount 0 Wilton Utd 5, Leeds 2 Cork City 7 . Daly Industrial Supplies-Stihl U17 League 1A: Lakewood Athletic 4 Macroom 1 (Lakewood are champions). FAI Umbro Youths Cup semi-final: Cork City 3 Drogheda United 2. Daly Industrial Supplies-Stihl U17 League 1: Greenwood 2 Rockmount 4. City Challenge Cup Final: Dillons Cross 3 Fairview 1. AOH Cup Semi Final Second Leg: Wilton Utd A 2 Killumney Utd 3 (Wilton won 6-4 on aggregate). Corinthians Cup Semi Finals: UCC A 1 Park Utd B 1 (Park won 5-4 on pens); Kilreen Celtic 4 Buttevant A 1. AUL 1: Postal Celtic 0 Carrigtwohill Utd 2; Shandon Celtic v Springfield (off). AUL 1A: Rathcoole Rovers 2 Donoughmore Ath 2; Grangevale 0 Greenmount Rangers 0. AUL 2: Dunbar Celtic 1 Hibernians 5; Casement Celtic 2 Innishvilla 3; Blackpool Celtic 6 Kinsale B 0. AUL 2A: Millstreet Celtic 3 Crescent Ath 3. AUL 2B: Churchvilla 2 Brooklodge Utd 1; Central Rovers v Castle Celtic (off); Cathedral Celtic 1 Corkbeg 2. AUL 3A: Grattan Utd 2 Bweeng 4; Strand Utd 1 Buttevant 3; Kanturk 0 Ballincollig 3; Knocknaheeny Celtic 1 Ballinhassig 5.